ISLAMABAD (92 News) – Federal Minister for Defence Khawaja Asif has said that they want to sow seeds of love so that the coming generations may reap the crop of love on Monday. Addressing a meeting on Monday, Khawaja Asif said that they are compensating for the past mistakes through the Zarb-e-Azb Operation. He said that there religious extremism earlier, but now liberals have also become violent. The minister said that Prime Minister Nawaz Sharif raised the issue of Indian prime minister’s statement against Pakistan during a meeting with United Nations Secretary General Ban-ki Moon in Dushanbe. “The prime minister told the Ban-ki Moon that the UN agenda is incomplete without the Kashmir referendum,” the minister said. 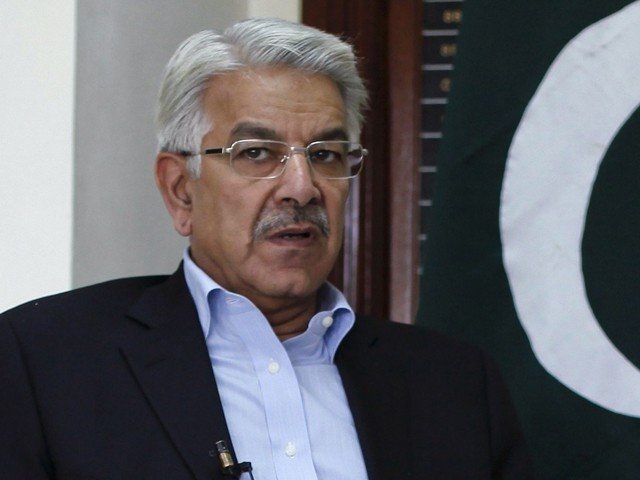 Khawaja Asif said that national interests should be kept in mind whether it is Kashmir or Afghanistan issue. The minister said that China-Pakistan Economic Corridor project will benefit the entire region.